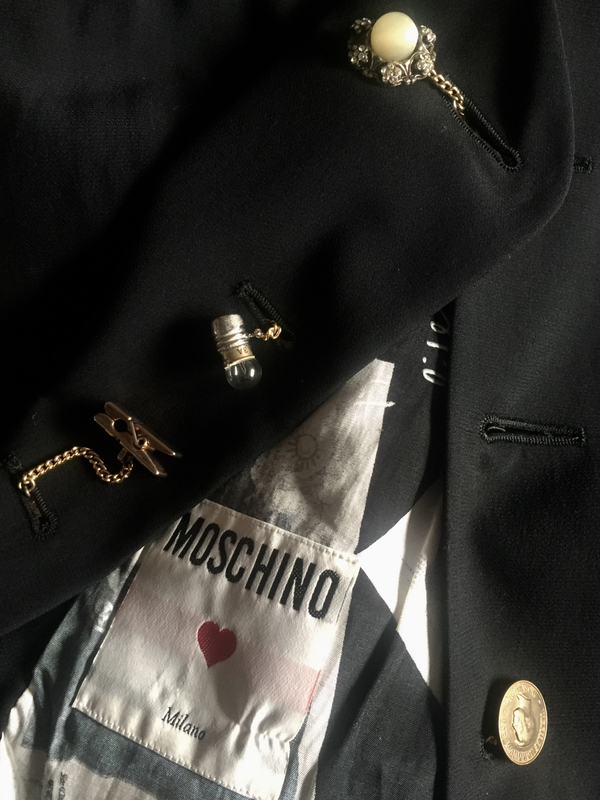 Jennifer wearing this rare vintage (late 1980’s) Moschino jacket, which is like the Holy Grail for the Moschino fans. 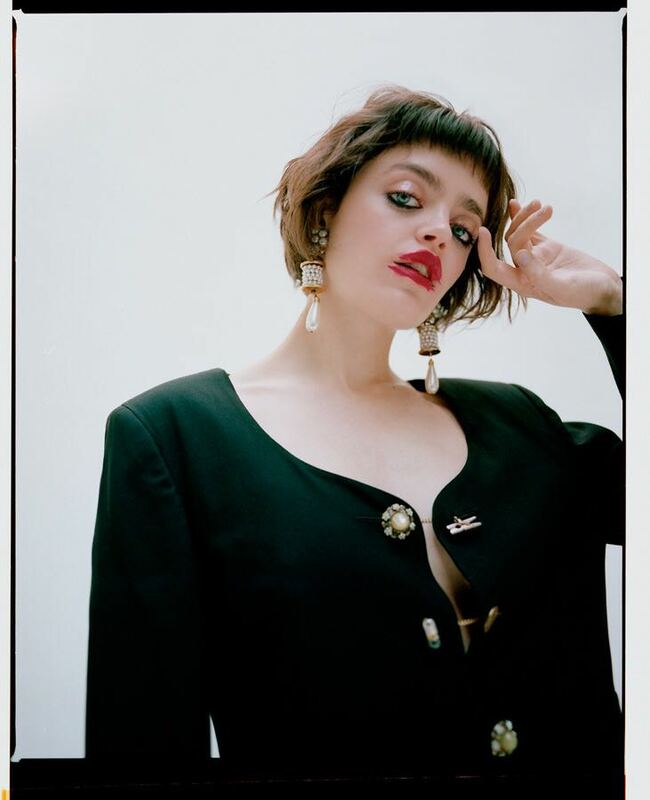 The cut is like a bolero jacket, slightly cropped and with shoulder pads. The detail that makes the strength of this beautiful statement piece are the buttons: a row of bulbs, tweezers, coins buttons for each sides, making this piece even more unique, giving it the Moschino touch! Amazing quality and kept in a wonderful condition… Your chance to have this most coveted piece of art. – Real size: EUR 36/38/40. Best for size Small or Medium. – Composition: Acetate & Viscose. – Fully lined. Lining with a fun print representing coins and bills.